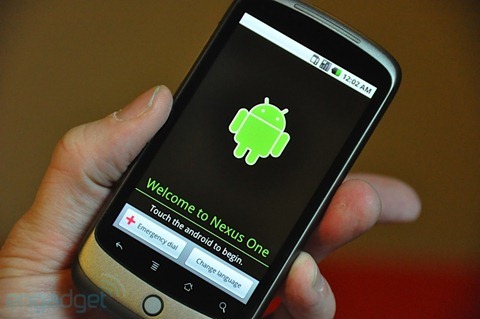 On Tuesday, Google came out and said that FRF72 was not official and that they were working feverishly to get the final build of Froyo out to Nexus One owners. They weren’t lying. Last night, the FRF83 starting hitting N1’s via OTA and is the real deal. And of course, someone found the file on one of Google’s servers for those of of you willing to manually update. Originally the update appeared to only work for those running the FRF50 version of Froyo, but in only a matter of hours someone found the version to work with FRF72..
*THIS IS NOT FOR THE MOTOROLA DROID. DO NOT ATTEMPT TO INSTALL THIS ON ONE. If coming from FRF50, download FRF83 here. If coming from FRF72, download FRF83 here. Don’t feel left out though Droidies! Source was released yesterday!